Calibré refers to gemstones cut precisely to fit a specific design. Usually, calibré cut stones are rectangular or square but can be any shape necessary to precisely complete a design. 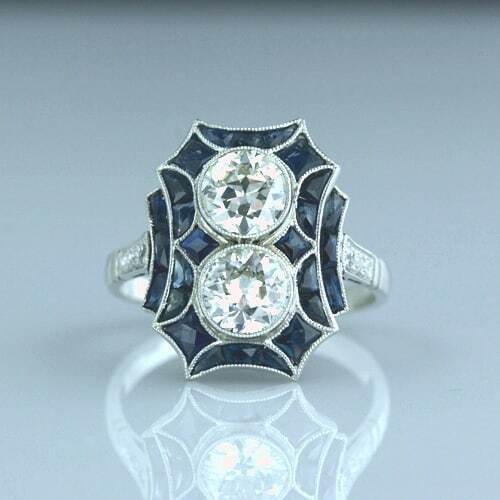 A Unique Art Deco Ring with Calibré Cut Sapphires.